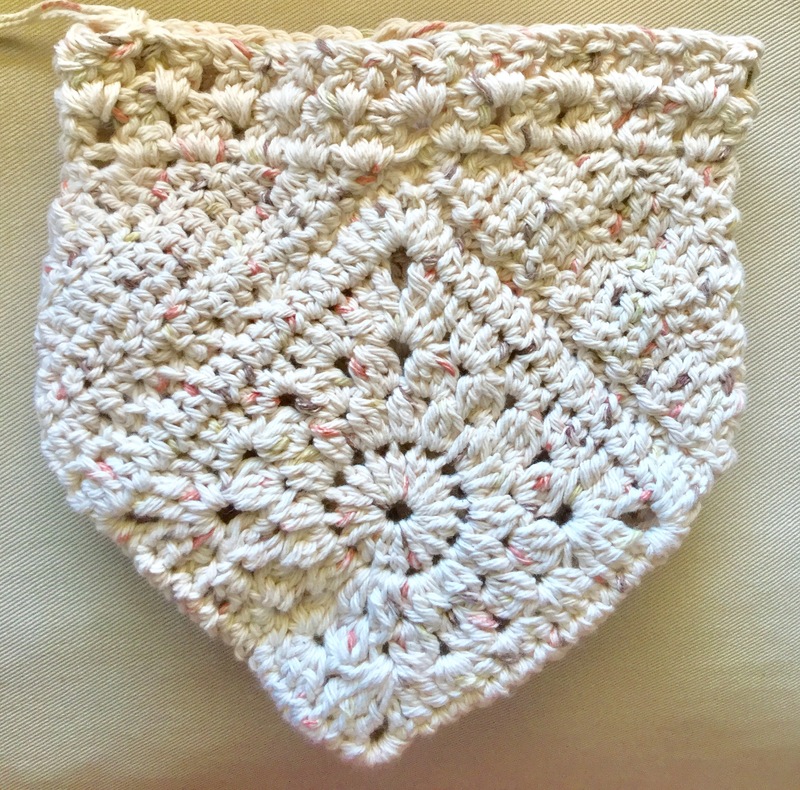 My long-ish crochet projects are still being worked on. I feel like I need a day to finish everything, but an entire day to crochet seems like a dream right now. I try to work on them at night, but my tired brain gets in the way and I end up ripping my work out because of an extra stitch or two. It’s been a battle with yarn that I’ve been losing. 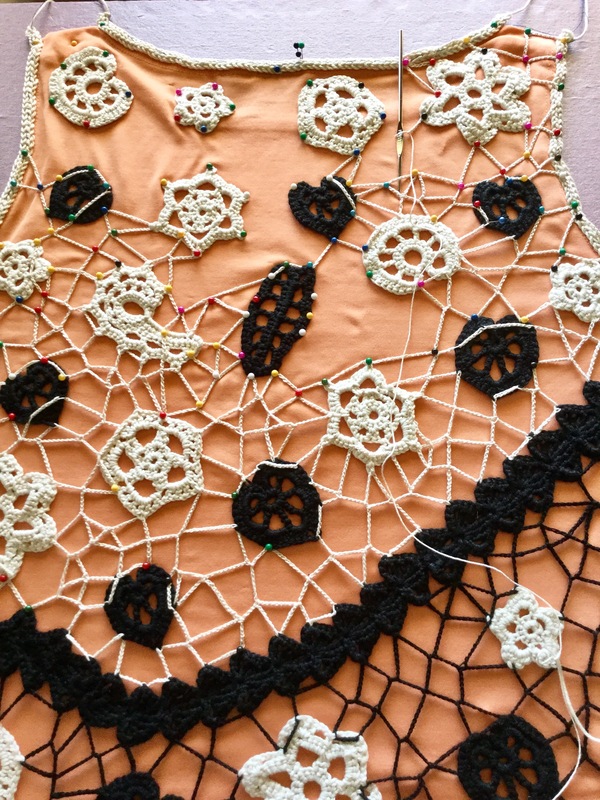 The back of my crochet shirt is almost done. This side is going much faster than the front, and would have been completed by now if my wrist hadn’t started hurting. My boho bag is also close to being finished. I now need to add the fringe, strap, button, and sew a liner…oh, snap, I got a lot more to do! Here’s something I did finish! 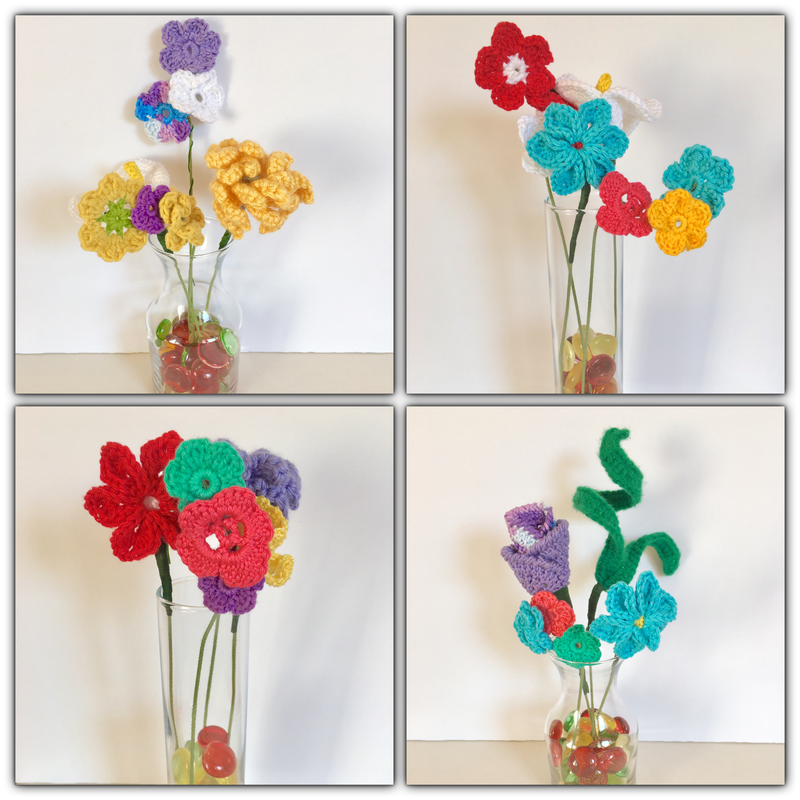 I gave each of the moms I saw on Mother’s Day a small bouquet of crochet flowers. Which is your favorite? Everything is beautiful but I love those flowers! I’m partial to the top right one, myself! Your bag is looking awesome as is your top! Thanks Kathy! The top right one was one of my favorites too, so of course I gave it to my mom! I love the specks of colour in your boho bag, just so pretty!